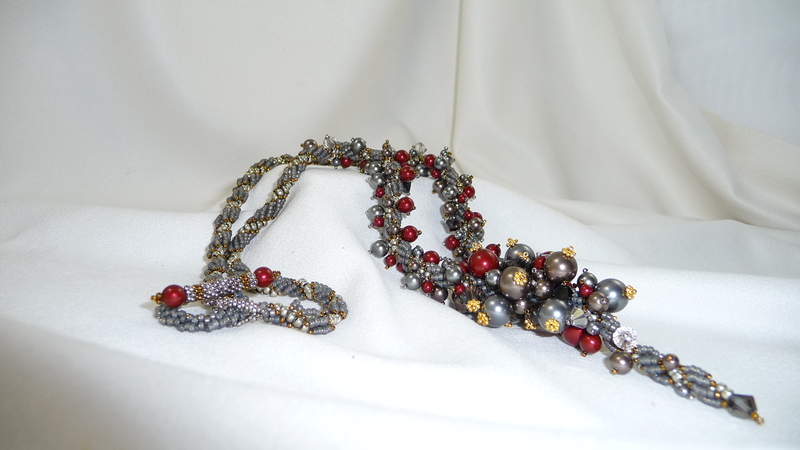 This necklace features all Swarovski Elements and seed bead lariat, in rich earthy tones. Instead of a manufactured clasp, I made one using the beads of the lariat. This piece is a spectactular result from a class/kit I took to learn new technique and skill. Designed by Cathy Lampole Colour selection, stitched and clasp by me.